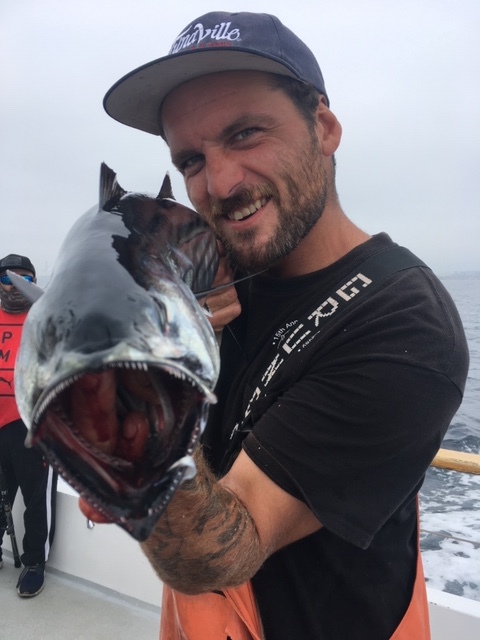 Captain Anthony "Tiny" Maglietto called in with Limits this morning on the Chubasco 2 early bird half day. 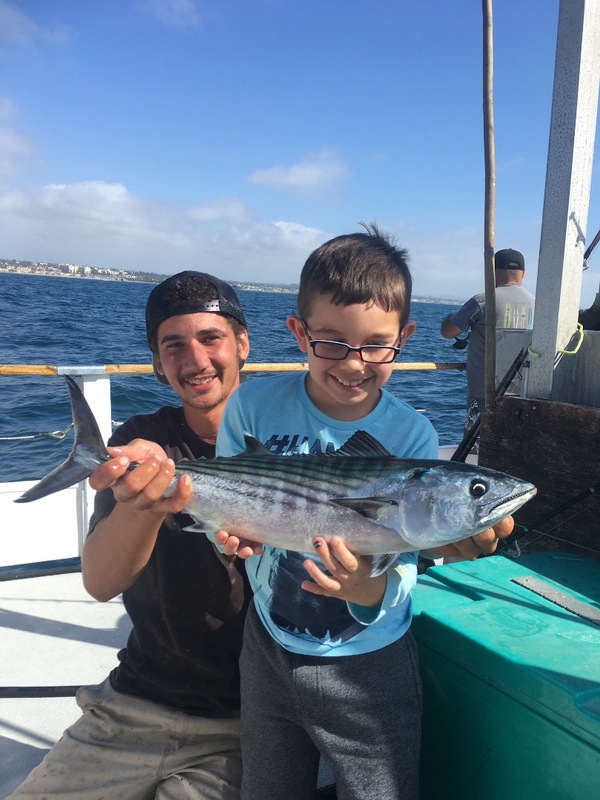 14 anglers brought in 70 Bonito. What a fun morning. We have a double half day going out tomorrow - 6:30am to 12 and 12:30pm to 5:30. 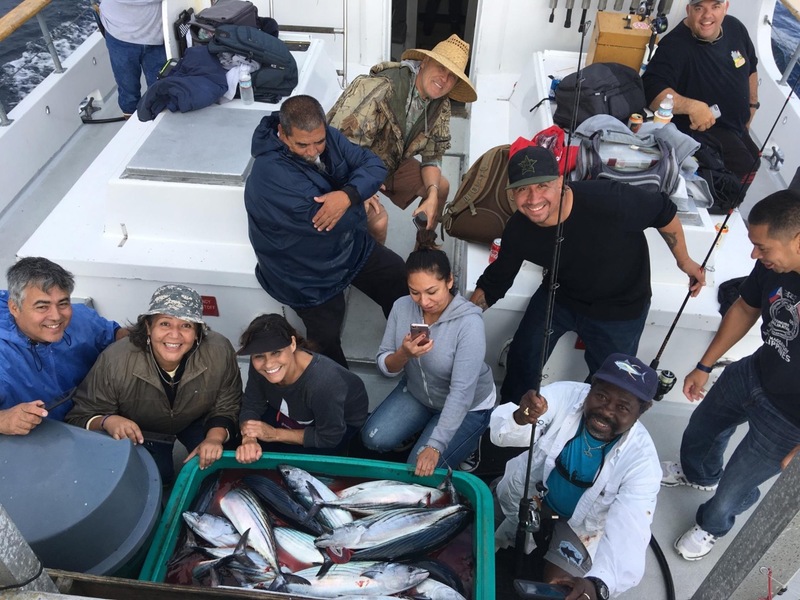 Captain Ernie Prieto aboard the Pronto on a one and one half day charter has called in with 4 Bluefin Tuna in the 40-70lb range and will be fishing tell after dark this evening. 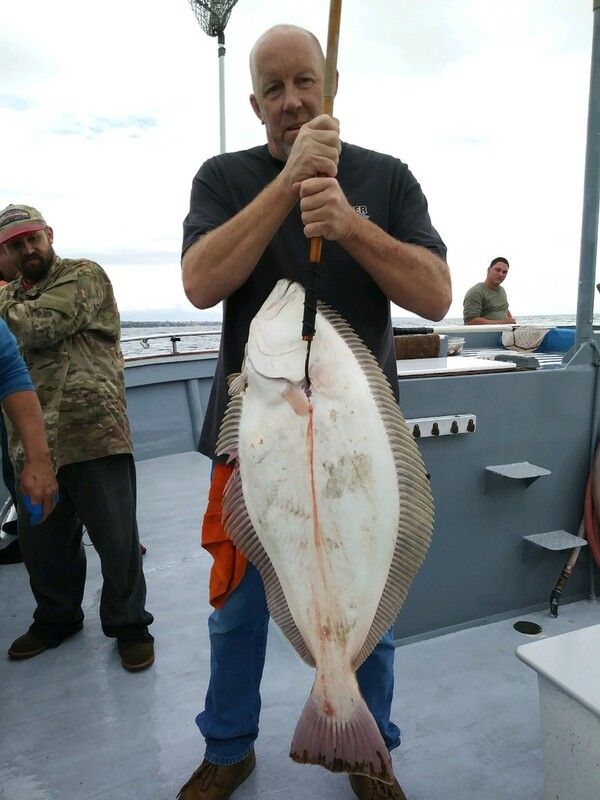 Captain Joe Cacciola abaord the Sea Star sent in a picture of this 25lb halibut caught by David hunter of Nuevo, California on todays three quarter day charter. All the Captains have reported that the ocean has laid down and should be gorgeous tomorrow. For all the final counts check out Oceansideseacenter.com later on tonight. For reservations visit us on line, stop in our shop (walk ups always welcome), or give us a call 760-450-0403.